I have been waiting weeks for the sun to come out for just long enough that I could snap some photos. I am obsessive about my light- that is the difference between a bland photo and a photo that pops, that draws and seduces people. I checked the weather last night and woke up at 9 AM this morning just to shoot pictures of these gingersnaps I made a few days ago when it was dark, gloomy and rainy ( when is it not in Ithaca)? I waited patiently until the angle of light fell just right into my living room and clicked the shutter like a madwoman. 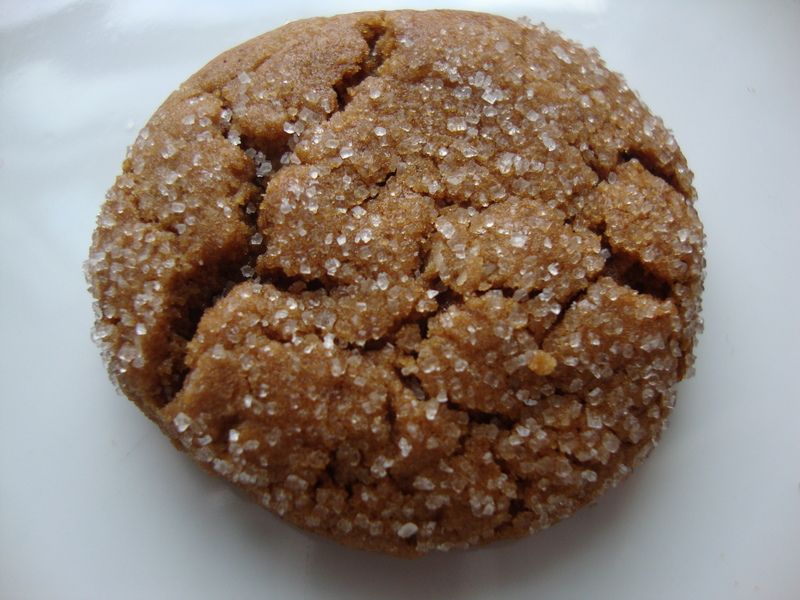 Gingersnaps, made in honor of someone close to me, are among the cookies that hang around in coffee’s social clique, along with biscotti and short breads. Gingersnaps, awesomely enough, are called “ginger nuts” in the U.K., Australia and New Zealand ( cue in all sorts of jokes in relation to any red-headed male friends). 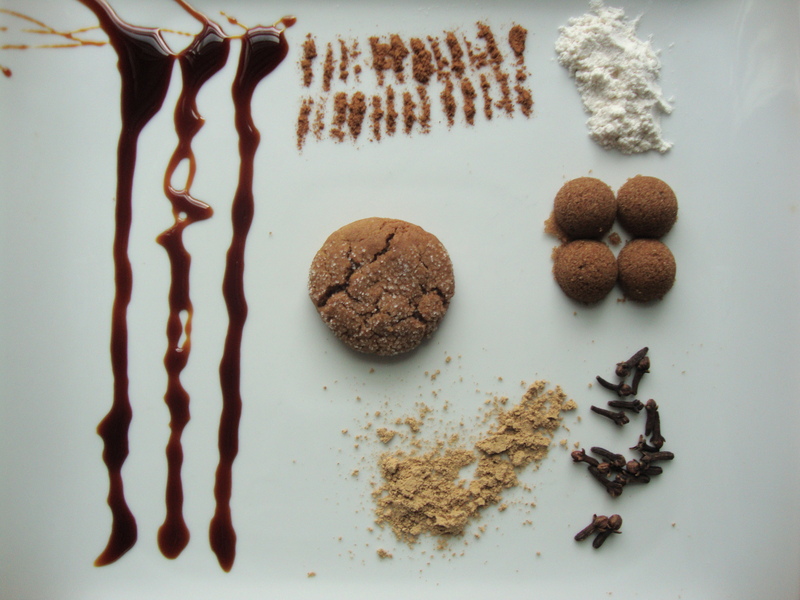 These cookies are flavored with molasses, powdered ginger, cinnamon, ground cloves, nutmeg and other spices. The Frozen Fix turns gingersnaps into gingersnap ice-cream– amazing. While it bears the cookie’s name, the ginger flavor is quite subtle. The cracked, sugared tops and audible crunch! when taking a hefty bite gives the cookie its snap!